I:58 believes in the transforming nature of whole life discipleship. For our communities, and the people who live in them, incarceration is a part of their stories. Being faithful to our communities means that we walk with people inside and outside the walls of the prison system. Below you will find men and women who spend time in discipleship relationships inside the walls of prisons. I serve inside the Philadelphia Prisons, leading a weekly bible study for 60-70 men in the largest of their six facilities which houses all of their incoming inmates, the majority of whom are awaiting trial. I also serve with the Kingdom Care Reentry Network which I helped to start with my ministry partner, Bishop Ernest McNear. It provides in-prison preparation for successful re-integration and outside-the-walls services among its large circle of community partners. I'm a former college history prof and ordained Presbyterian minister and I joined The Navigators in 2004 to begin serving in the criminal justice system. Happily married for 52 years with 2 sons and 5 grandsons, I'm a committed Eagles and Phillies fan as well as a life-long disciple of Jesus, our former inmate Savior. Doug ministers to inmates inside Lexington Corrections Center and Joseph Harp Corrections Center -- both in Lexington, Oklahoma. He shares the gospel with inmates at Lexington Assessment & Reception Center (the state facility for all incoming male inmates), and uses the Authentic Manhood DVD series, and the Every Man A Warrior study to disciple men in these facilities. Doug is married to Karen and has been on Navigator staff since 1990. He has ministered among military personnel, American college students, international students, and prison inmates. Marc builds relationships with men who’ve been incarcerated in the Chester County Prison. Marc builds relationships of trust in group settings and one on ones. Marc sticks with them after they are released — to help them over the rough spots. It is his prayer to see these men become disciple-makers inside and outside the walls of prison. Marc and others are currently developing a group ministry with men who have returned. 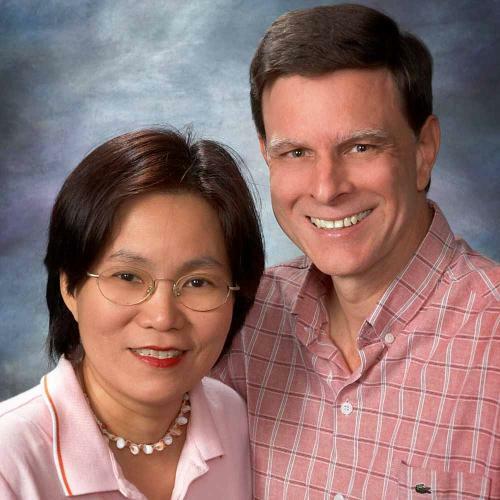 Marc is married to Elaine and they have five children in their blended family with ten grandchildren and two great-grandchildren. Marc has been ministering with The Navigators, both as a staff person and as a traditional career man, for over 40 years. He’s been walking with disciple-makers in the Navy, on college campuses, in churches, and now I:58. Greg and Hannah describe their spiritual journey this way: “We spent many years trying to acquire knowledge and to teach better (at conferences and in seminary classrooms in the Philippines). But over time, we learned that ‘the only thing that matters is faith expressing itself through love’ (Gal. 5:6, NLT). So we’re now less concerned with imparting knowledge and more concerned with imparting love. We’re learning to love better by listening to people (especially men in Oregon prisons)." Isaiah 58 refers to “rebuilders of ruins” and “restorers of homes” (Isa. 58:12, NLT). That describes our work among prison inmates. We facilitate small groups and meet individually with inmates to help them lay a foundation on which to rebuild shattered lives and broken homes. Almost all have to start from scratch, as the families in which they grew up were full of abuse and neglect, pain and violence. To learn what it means to be forgiven and loved, and what it means to love and forgive others takes time. We try to help with that – helping inmates experience love in order to get to a place where they can love God, love others, and love themselves. Brent Anderson began jail ministry in 1981 and has since had the privilege of building relationships with inmates from various cultures and backgrounds, through weekly bible studies with adults and youth. Additionally, Brent mentors men who are reintegrating into society in the Dallas Metro. Through his ministry he is able to share the good news of Jesus Christ and what He can do to transform lives. "I didn't care for a long time about my life, but now I'm starting to care about the way I live", he says. Is Prison Ministry Worth Doing? During one event we sponsored a U.S. Marshal’s program known as Fugitive Safe Surrender.